The UV-4C MICROPROCESSOR INTEGRATOR is a self-contained, high quality UV measuring instrument. It is designed to measure, record and display peak UV intensity and UV dosage in the UV curing process. With these four different UV-bands all of the measuring requirements of UV curing applications can be covered. 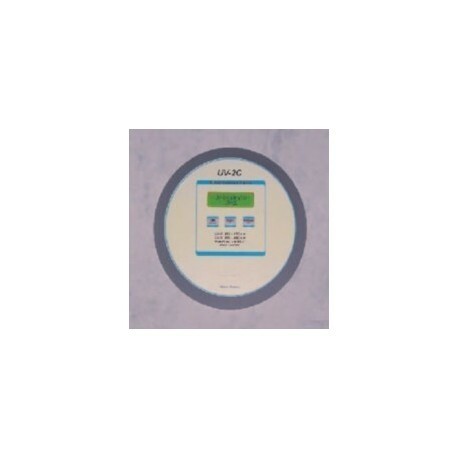 Due to its four different UV sensors and the integrated microprocessor the UV-4C can measure, record and display the peak of the UV-energy (mW/cm2) for each UV-band individually plus the peak of total UV energy. Additionally, this UV-Integrator is calculating the UV-dosage (mJ/cm2) of the UV energy supplied during the time of exposure of one measuring cycle. The UV-dosage is calculated for each UV-band (UV-A, UV-B, UV-C and UV-V) individually and as total Integral of UV-dosage over all three UV-bands. This allows to determine not only the total energy, but also how that energy is delivered, i.e., what intensity and dose at what UV-band. The four sensors are on the back of the unit which also serves as a heat shield. 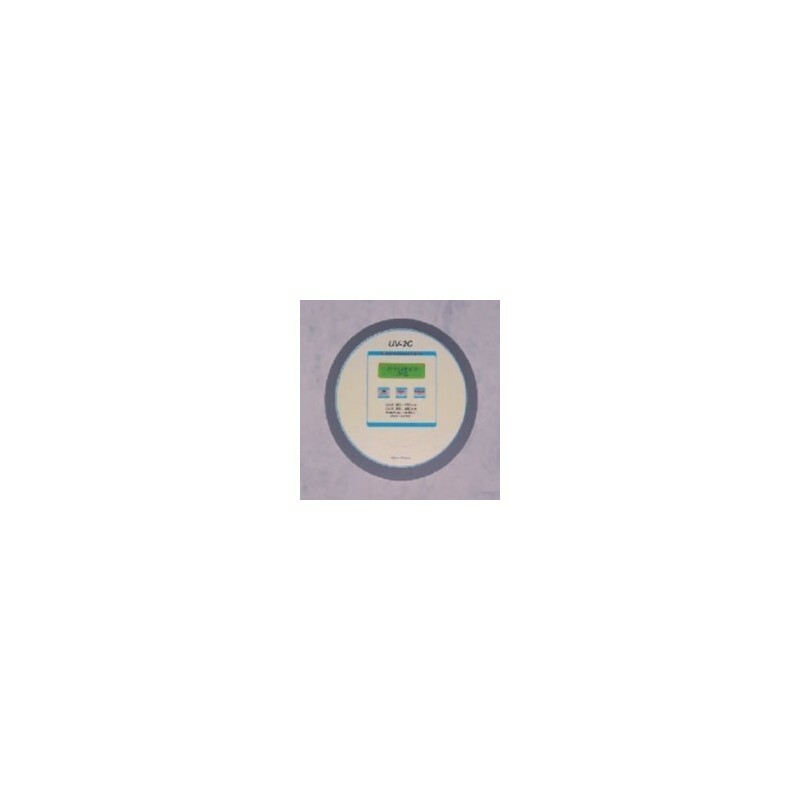 After completion of the measuring cycle all measuring results can be scrolled through on the built in 2 x 16 digit LCD display. *This Microprocessor Integrator features a selectable triggered mode, i.e. the 30 sec recording cycle starts within a 120 second readiness phase not before the incident UV-intensity exceeds 2 mW/cm. While on the conveyer belt, the UV-4C Microprocessor Integrator can withstand max. 230 F / 110 C for up to 10 seconds. The temperature of the housing should not exceed 113 F / 45 C. Because of uneven radiation distribution of the UV light source and different type of construction of the measuring devices by different manufacturers, different readings may appear under the same measurement conditions.